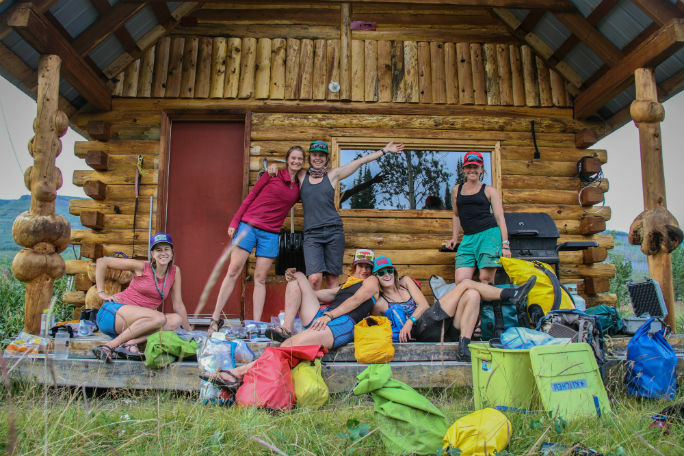 Last fall, a few friends and I decided to plan an all-women’s canoe trip somewhere in the north. We assembled a team of six strong-armed, quick-witted ladies who were able to put aside jobs and mortgages and marriages for nearly a month. We spent the winter pouring over maps of Canada and Alaska. 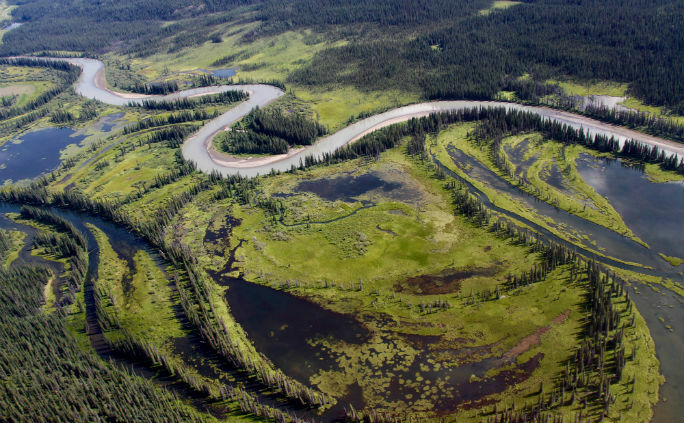 Eventually, we chose two rivers: the great, silty Upper Stikine and its meandering tributary, the Spatsizi. 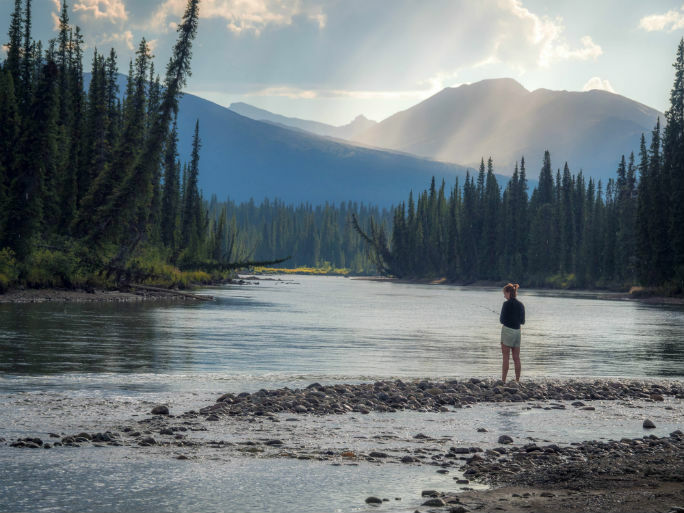 Together the rivers flow 218 kilometers through a remote region of northern British Columbia known variously as the Serengeti of the North, for its abundance of large wildlife, and as Klabona, the Sacred Headwaters. 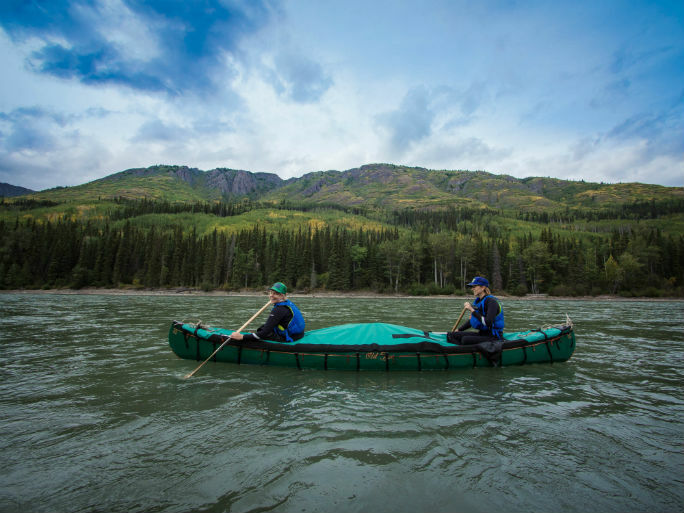 It’s here that three of the greatest salmon-bearing rivers of North America—the Skeena, the Stikine and the Nass—are born from a raw topography of forest, mountains and swamp. 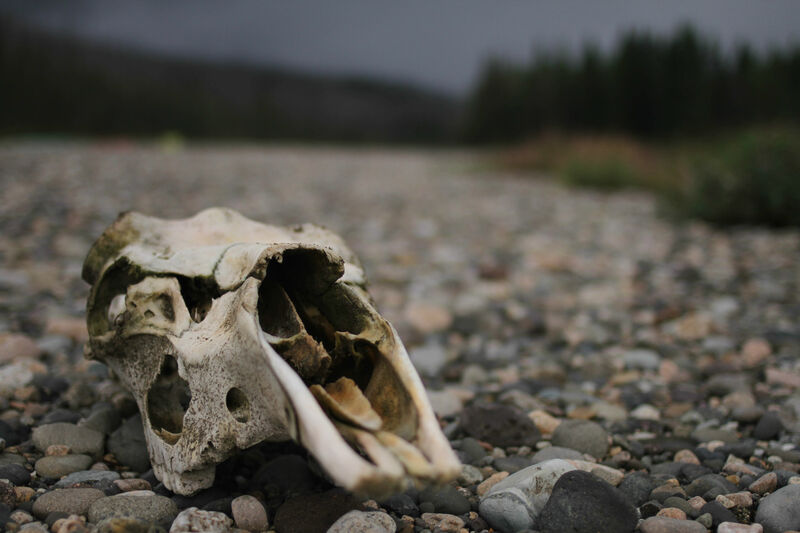 The fish, the wilderness and the indigenous Tahltan activists are all threatened by a wild west-style mining boom; last year, an open-pit copper and gold mine opened near the headwaters of the Stikine’s largest tributary. We saw its mess of roads and massive tailings pond as we flew into the Spatsizi Plateau Wilderness. Later, when we got off the river, we met several prospectors getting ready to fly in to search for more minerals, more potential mines. More gold. 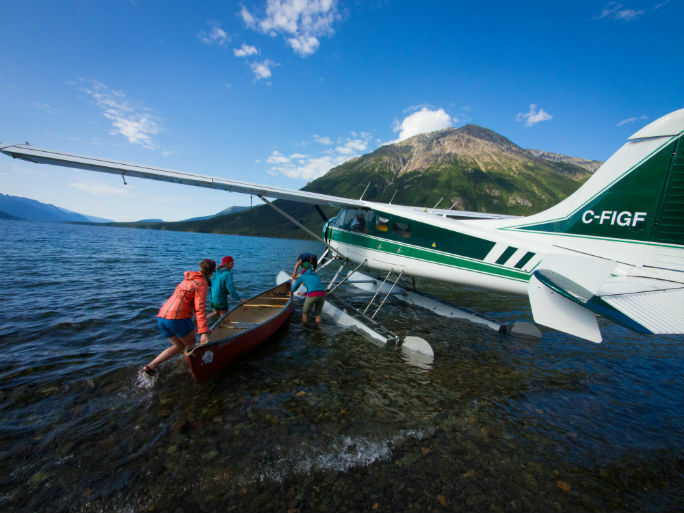 The moment when the float plane appears in the sky and touches down in the lake is the moment when all the months of planning finally start to feel real. Once you’re dropped off in the wilderness and sounds of the engine fade into the distance, there’s no turning back. It’s an indescribable feeling. The Spatsizi River winds through a landscape more water than land. 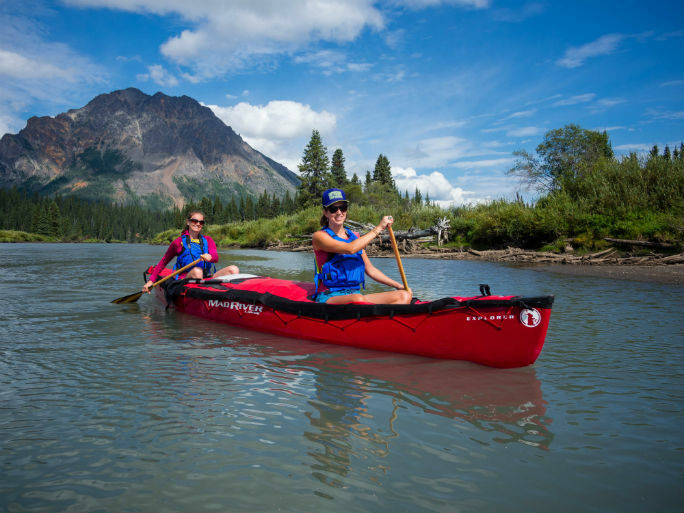 The section we paddled—66 kilometers from Canoe Lake to the confluence of the Stikine—offered an easy warmup for the fast-moving, braided water we’d later encounter on the Stikine. 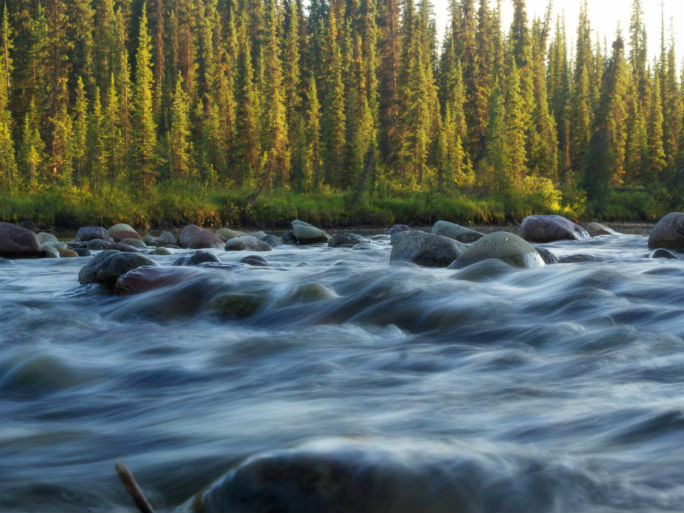 When we were on the river, we experienced the Sacred Headwaters as it has always been. Except for a lone man tending a backcountry lodge, we saw no one. The beaches were laced with bear, wolf and moose tracks; several mornings we woke up to fresh ones winding between our tents. 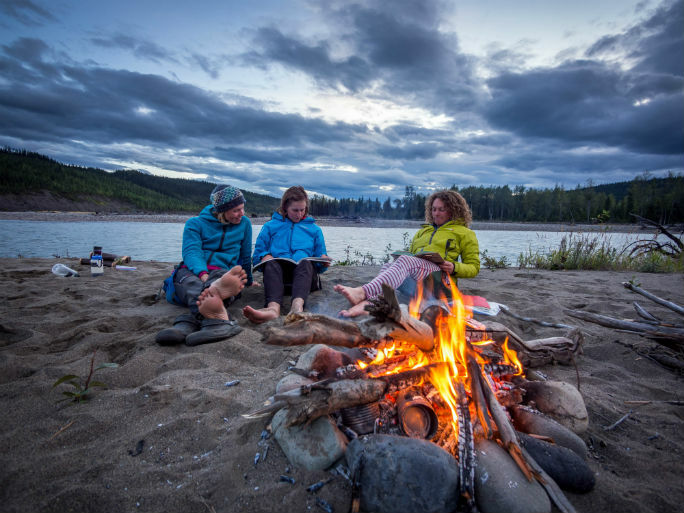 Settling into the rhythm of river life, when the most pressing concerns are getting from one camp to the next, collecting drinking water, and gathering firewood. Everything else falls away. 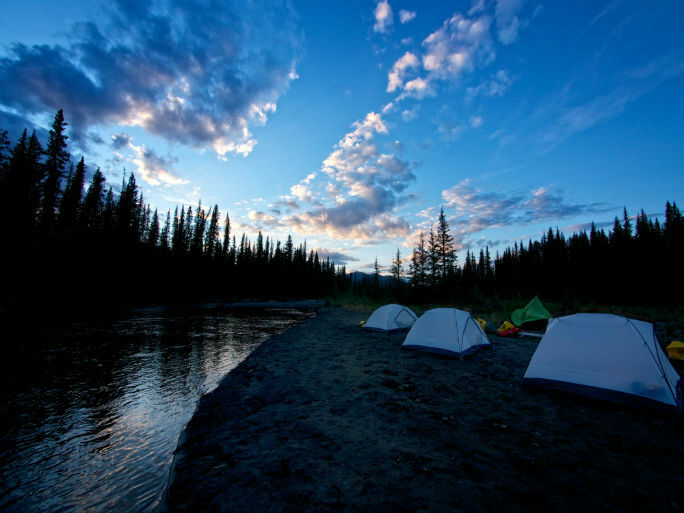 Camp on Mink Creek, a tributary of the Spatsizi. 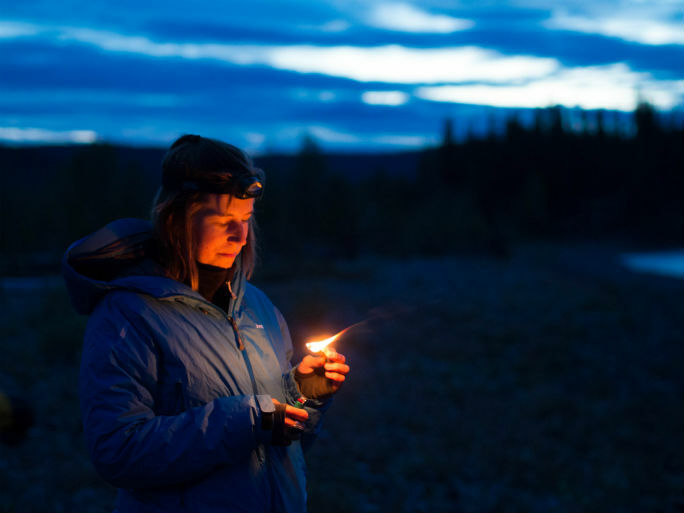 This far north, the twilight lingers late into the night. 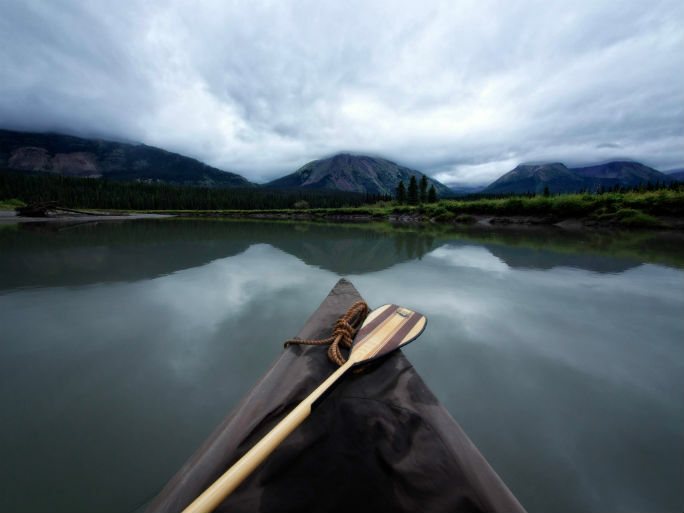 Cloudy, quiet days on the Spatsizi, the river as calm as a lake; no sound but our paddles dipping through the water and a kingfisher that followed us downstream. A moose in a drizzly river bed, his hooves clattering over the smooth rocks. A caribou in the alpine tundra, silhouetted against the colorless sky. At every turn we see signs of wildlife, but there’s so much more that we don’t see, hiding just beyond the corridor of river. Most days it’s all you can do to remember the sequence of events—how far you paddled, where you camped, what side streams flowed in. But sometimes the light is so perfect it burns itself into your memory. Moving water is the soundtrack of our days and the forest seems secretive, whispering something ancient from behind its impenetrable walls of spruce and mountains wrapped in mist. We aren’t sure what it’s saying, but that’s ok. We are just visitors, passing through. The small things can make the biggest difference. Halfway through the trip we have permission to spend a night in an empty hunting lodge. It’s all we need to rejuvenate muscles and spirits and push on for ten more days. One day we leave the river, climb high onto the Spatsizi Plateau and look down on where we’ve been, and where we are going. 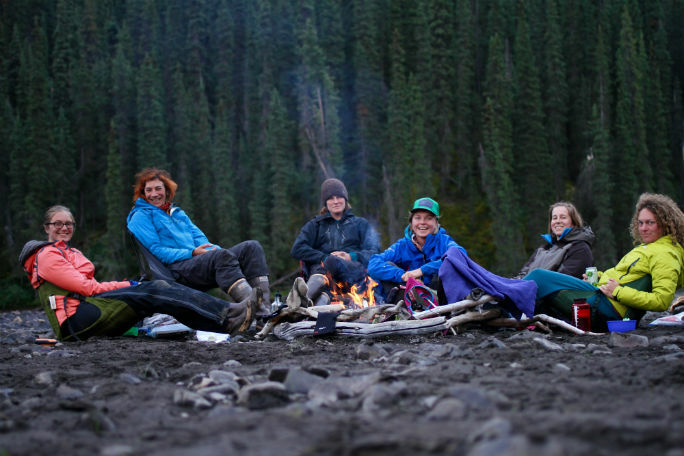 By the time we reach the Stikine, in mid-August, autumn has rolled in. The air smells like fallen leaves and river water. 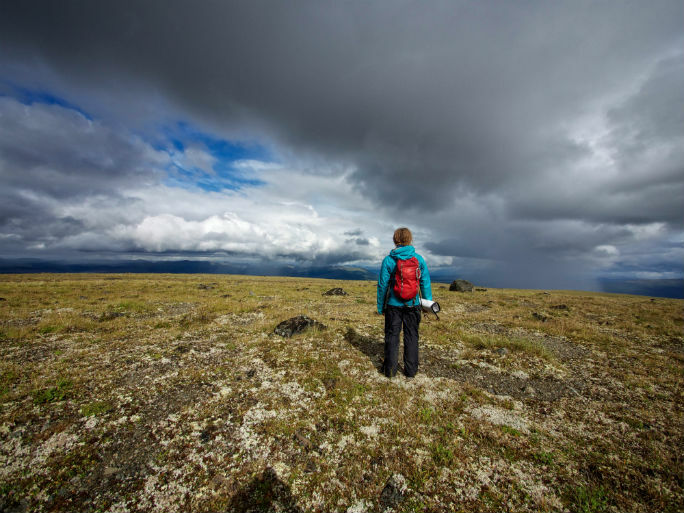 The landscape cracks open, from the enclosed green of the Spatsizi to the wide, flowing Stikine country. Evenings at camp, the end of the trip drawing closer. 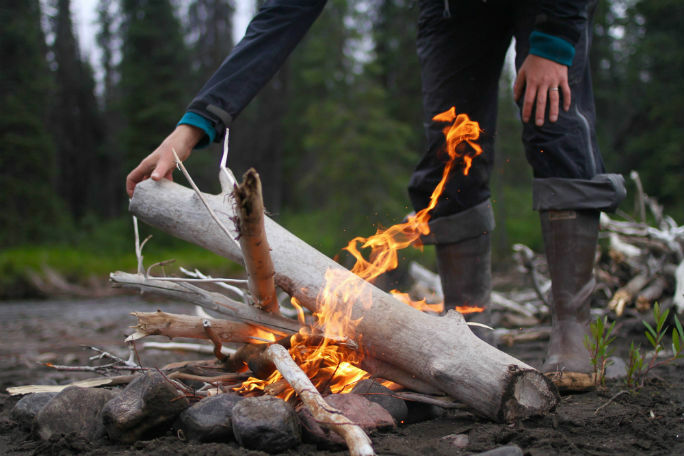 Bare feet around a fire, the sand gritty between our toes. And unbeknownst to us, a wolf walks between our tents while we sleep. We weren’t the most successful fishermen. 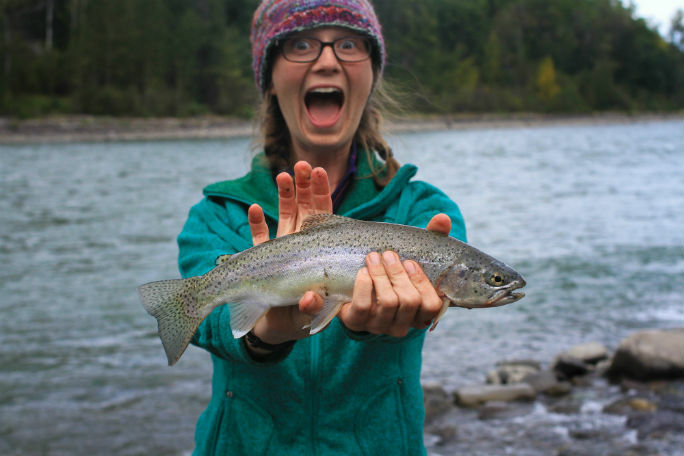 So when we managed to catch dinner, the excitement ran high. 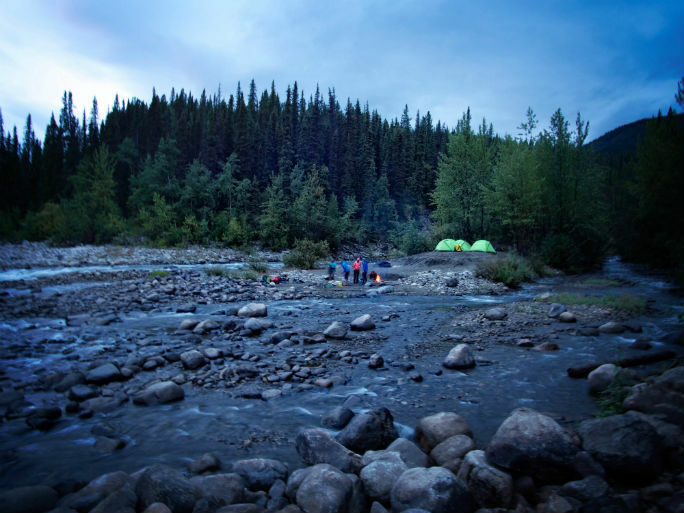 Our final camp on the Stikine, in the middle of Beggarly Rapid, surrounded by water. So grateful for our time together on the river. 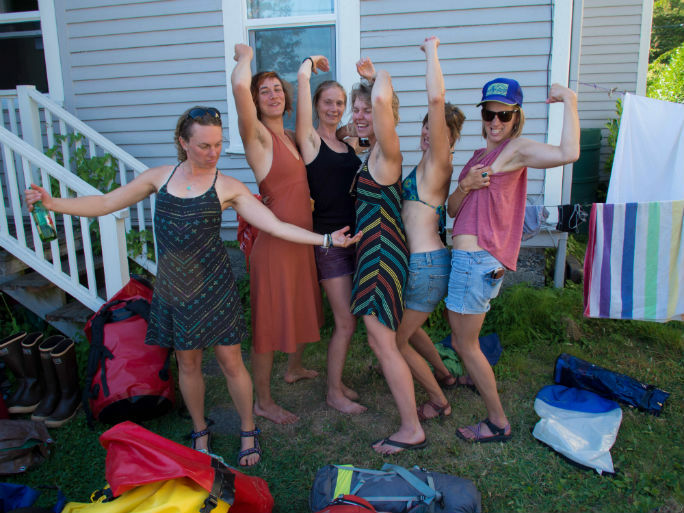 After 18 days of paddling, our backs are stronger and our spirits soar high as we compare muscles and armpit hair. The first journey of the Wild Streak crew has come to an end. But the ending of this journey is only the beginning of many, many more.